Off-limits to outsiders for decades, 2012 saw the removal of the tourist boycott of Burma, marking another stepping stone in the country's tentative road to democracy. A captivating land shrouded in bewitching mystery, Burma's horizon is - these days - one full of hope. Bursting with beautiful scenery, enchanting temples and the most welcoming of people, Burma is truly an undiscovered jewel, one that deserves to be treasured. With the monsoon season drawing to a close, October marks the beginning of the best time to visit this truly fascinating land. Here's what to see. Perhaps the world's best kept secret, Bagan is nothing short of truly spectacular. A 26 mile plain dotted with palm canopy, surrounded by misty mountains and framed by the magical Ayeyarwady River, golden pagodas rise from the ground in their thousands, quietly glistening in the sun. Once the capital on the first Myanmar Empire, the complex of temples were built by the kings of Bagan in the 11th and 12th centuries, standing today as glittering relics of a long-lost city. Consider this Burma's answer to the wonders of Peru's Machu Picchu or Cambodia's temples of Angkor - without the crowds. 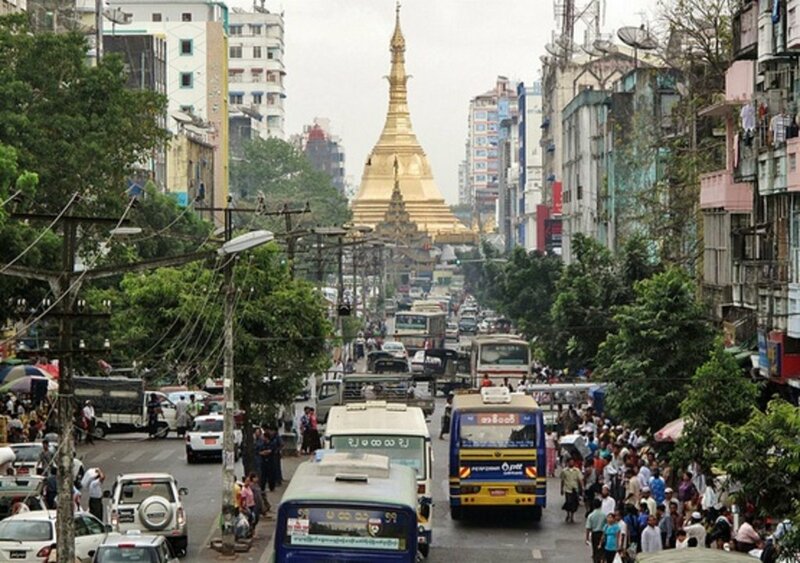 The country's largest city and its former capital, Yangon is a melting pot of diversity, mixing colonial wonder with cosmopolitan modernity. Known as the garden city of the East, Yangon is home to an abundance of green parks and tranquil lakes, as well as all the restaurants and bars that you'd expect a buzzing city to boast. Overlooking the city, Shwedagon Paya is a huge pagoda that sits atop a hill keeping watch over the happenings below. With its striking beauty, it's not hard to see why it's the pride of the nation. Despite the Kipling poem that evokes images of an old-worldly city, Mandalay is actually an extremely new addition. Built by King Mindon is the 19th century, the city was intended as the new capital and a centre for Buddhist teaching. Its status as capital didn't last long, but Mandalay today remains a heavily spiritual place, as well as a bustling motorbike-filled hive, typical of many an Asian city. An important Buddhist pilgrimage, climbing the stairs to the top of Mandalay Hill is as rewarding as it is spiritual. Two decorated lion figures known as chinthes guard the entrance to the stairs and the pathway is dotted with temples and monasteries. If you choose to join the tradition and set your sights on reaching the top, remember that it's customary remove your shoes at the bottom of the hill. 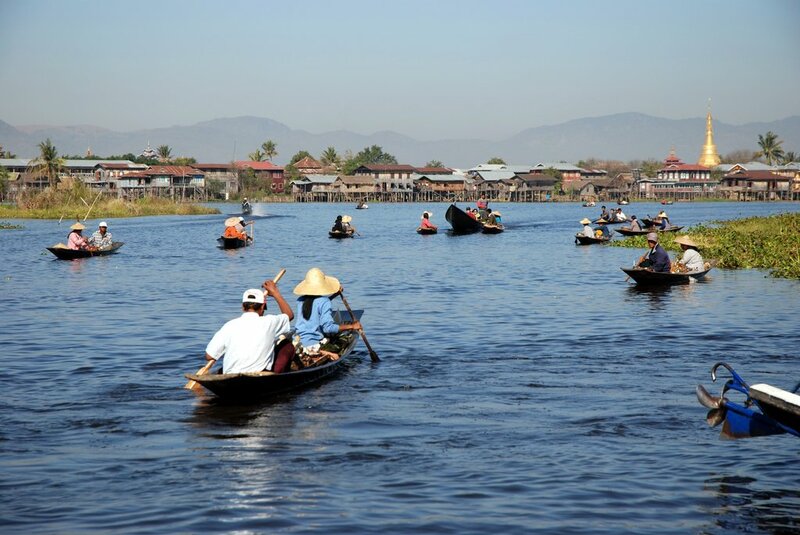 Sitting pretty at 900m above sea level, visiting Inle Lake is like discovering a mysterious new world hidden from outside view. The surrounding mountains are home to more than 30 hill tribes and the lake itself is dotted with floating villages and lively markets. Spend an afternoon sailing gently along the calm waters in a traditional leg row boat or take a hike through the beauty of the surrounding mountains, overlooking this magical country. Whatever you choose to do, the cooler weather and slow pace of life means that you'll be hard pushed to find a better place to spend a few days of serenity. Idyllic palm-lined beaches, unspoilt stretches of bleach white sand and crystal blue waters; could it possibly be Burma? Believe it or not, the country has 1,250 miles of coastline, every inch undiscovered by tourists and unblemished by development. Forget neighbouring Thailand; when it comes to tropical paradises, Myanmar's Ngapali beach should be the only name on your lips. With two miles of beautiful beach to relax on and a plethora of beach-front eateries filled with fresh seafood caught daily by local fisherman, grab a book and sit back in paradise. Safety: In such a strongly Buddhist country, there's very little crime against tourists. Conditions have vastly improved in the country and any areas of conflict are closed to tourists - both for their safety and to keep away international attention. Money: There are very few ATMS in Burma and credit cards are only accepted in top notch hotels and shops. Bring plenty of US dollars with you to exchange for the local currency, kyat. 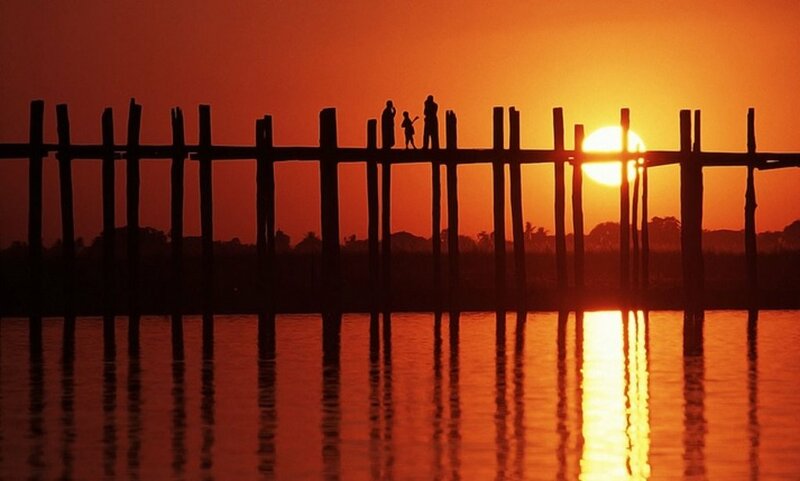 Visas: To enter Burma, you'll need to apply for a tourist visa beforehand. It's a simple process and can usually be done the same day, is valid for 28 days and costs around £14. All you'll need six months left on your passport. 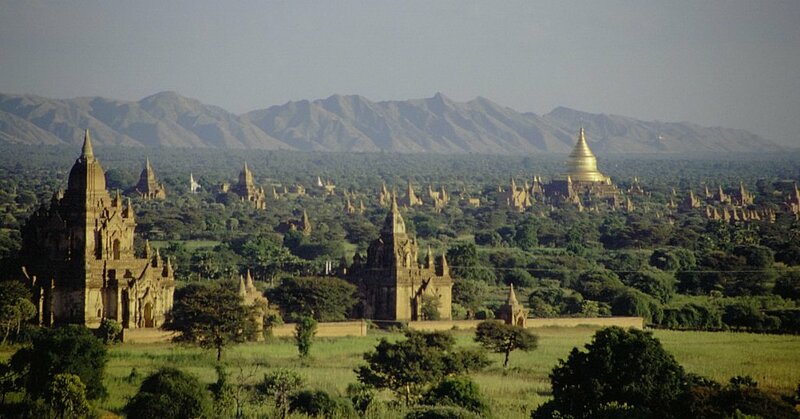 Are you ready to discover Burma?